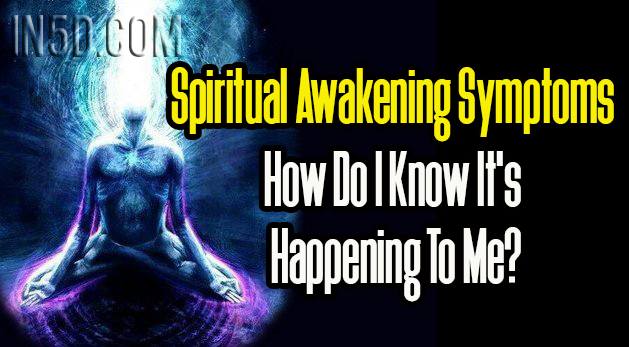 Spiritual Awakening Symptoms – How Do I Know It’s Happening To Me? A popular image comes to mind, when Ray and Winston are talking about religion, in the original Ghostbusters movie, white ethereal ghostly figures rise into the night sky around them…judgement day. This is the mainstream media machine. This is not what awakening is. There is no judgement, only individuals on their own karmic path. This imagery also implies separation, polarization, the good rise to the heavens, so what happens to the bad? Twisted through the lens of the Abrahamic religions and the mainstream media, language like awakening and ascension has become contextualized as judgement. There is no judgement, only an organic process of evolution that happens on a cellular level, quantum vibrations leading to dimensional frequency alignment. Gaia, planet Earth, is also ascending. She, too, is a vibrational, organic being. Her time has come. This is a rare celestial event and has drawn quite a crowd, it is rumored every soul that has ever existed on planet Earth is here to ride the vast karmic wave of release. Our skies are buzzing with activity. This is because the planet, Gaia, is accelerating her vibrational frequency. Huge cosmic shifts of energy have been flowing through Gaia for some years now, propelling her to higher dimensions. As predicted by many others, the Mayan belief that 2012 marked the kickstart of the Awakening. The media had us expecting planes falling out the sky. Not so. Neither do we expect to see ghostly figures rising to the heavens. This is way more convoluted than that. We are deep in it, all of us, right now, many of us unable to name it but know there’s something we can’t quite put our finger on, something hovering just out of sight, something’s not right. But as with all polarized thinking, this is not about what is right or wrong, this is about the same and changed, with no fear attached. A spectrum of frequencies, multi dimensions, infinite moments and choices. Connected. When we are transitioning we can experience dimensional slippage, moving from one to the other, this is happening daily for many of us. Quantum mechanics is oneness. As we shed these layers of negative programming, lower density emotional energy, we align and connect. Buckle up people the ride is going to be bumpy, so long as we live, see and feel harmonization this is what we will get. It’s all about peace and love maaaaan! Spiritual Awakening: How do I know if it’s happening to me? being drawn to meditation, yoga, healing therapies. The karmic polarization of humanity, largely caused by the ruling elite, the cabal, has held humanity back from its natural cycle of evolution. A soul cannot grow and evolve if in each lifetime it is oppressed. The human karmic wheel on this planet has been like a hamster wheel, going round and round, trapped, unable to organically progress. Globally we are being supported through this chaotic, confusing, crazy time, as individuals we are also being guided through this process. There is a lot of love out there for this bright jewel in the Milky Way galaxy and her trapped, upset, passionate, creative, graceful and humble passengers. Some dizziness and nausea, changes in tolerance to food and drink, can be very obvious symptoms. We may quite suddenly go off foods we used to love, many people stop eating or cut down their consumption of meat, milk and processed foods. Avoiding synthetic food, preservatives and gm food; dense, plastic food weighs heavy on our vibrations, lighten your load with food you recognize as having come from Gaia. The key to recognizing symptoms and messages of guidance as we navigate this awakening process is that the signs will be unusual. The universe is speaking to you directly, communicating with you. It’s hugely reassuring and can be thrilling and funny. This is the beginning of Oneness, of understanding everything is connected by a flow, an energetic groove through space time, it’s the awareness of quantum – nothing is 2d or 3d its multiple d! Reiki, spiritual kundalini or breathwork yoga, acupuncture, herbal remedies, hiking, coloring in, spending time engaging with children. All holistic therapies can help calm and nourish our fragile egos and open our hearts to a more heart led existence. Energy work like reiki can shift blockages, reduce stress and lighten the (emotional) load. Meditation will still the ego, open the heart and encourage the flow of energies through our ethereal bodies, as Gaia shifts. Be with tribal soul mates whenever possible (you know…the one’s who make you feel good about yourself). Avoid drama – other people’s control dramas, global political dramas and your own ego’s dramas. Drama drains energy, literally. Avoid the mainstream media in all its guises, reading, watching and listening to hate, fear and fascism will program you to feel and display these emotions. We should seek balance with our body, mind and soul. Easy if you’re a monk on a Tibetan hillside (we would all be levitating by now! ), but down here on planet earth, ground zero it is hard. Polarization of our world, speeding up of time, destruction, fear, war, injustice, poverty, racism….shall I go on? So if you reach for those chocolates, pass on that early morning swim, collapse in front of a glass of wine don’t beat yourself up! It’s all about calming and deprogramming the ego, taking care of the body and the mind and opening the heart to love, compassion and humility. Practice mindfulness, be in the now, experience the present and the past and the future will learn its place. Believe in a peaceful future on Gaia and it will happen. And when the shadow work gets to much reach out for help, there are many, many avenues available. Hug a tree!